Life insurance is an integral component of any good, solid financial plan. In the event of a policy holder’s death, life insurance in a financial plan can provide a variety of benefits to individuals, including the payoff of a mortgage or other debts, the covering of funeral costs and other final expenses of the decedent, replacing lost income of the insured, and paying for a child’s future college education. Anybody who has loved ones that are depending on them financially should seriously consider owning a life insurance in a financial plan. Otherwise, should an untimely death occur, the lifestyle of their family or other loved ones could change drastically. Term life is one of the primary forms of life insurance that is available in the marketplace today. With this type of coverage, the policy holder pays a premium throughout a certain stated period of time – or “term” – in return for the payment of death benefit proceeds to a named beneficiary (or beneficiaries) should the insured pass away during the time that the policy is in force. Because term life insurance does not include any type of cash value or investment component, the premiums for this type of coverage are typically quite low – especially if the insured does not possess any adverse health conditions at the time that he or she applies for coverage. 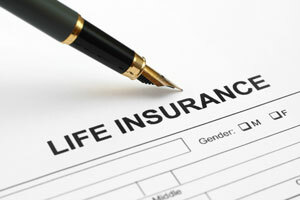 Therefore, term life insurance can provide a very cost-effective solution for an individual’s coverage needs. In addition, because the premiums for term life insurance are typically much lower than for other forms of comparable coverage, term insurance policy holders can oftentimes “invest the difference” into stocks, mutual funds, or other financial vehicles. Term / Renewal Period – Term life insurance policies typically must be renewed after a certain amount of time has elapsed. With this in mind, be sure that when comparing policies, the time frame – or terms – are the same number of years on each of the plans being considered. Guaranteed Premium – While the premiums for term life insurance oftentimes start out low, it is important to ensure that the amount of your premium will remain the same throughout the entire term of the policy. Prior to applying for coverage, it is important to be sure that the insurer will not raise the amount of your premium prior to the policy’s renewal period. Company Rating – All life insurance companies are given ratings that are based on factors such as their financial strength and their ability to pay their claims. Be sure that the company you purchase your policy from has strong ratings, indicating that the company will be there both now and in the future.